More than 40,000 visitors attended the Ao Dai Festival at Dam Sen Cultural Park on March 9. 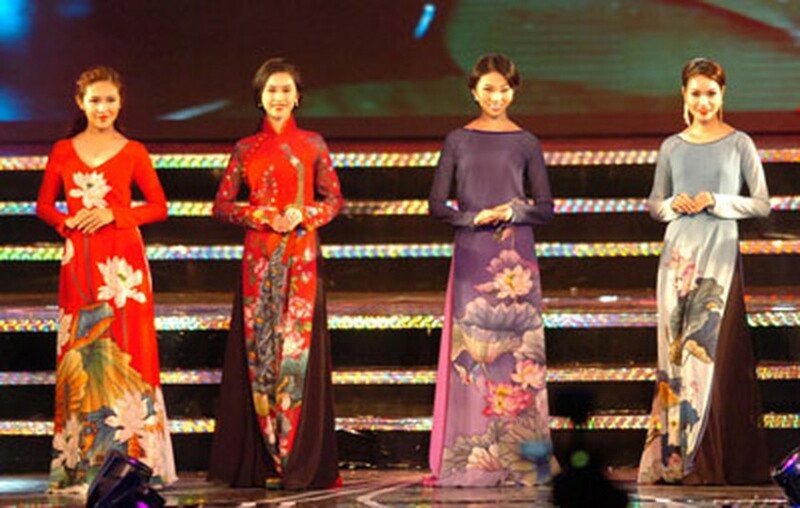 About 15,200 visitors wore ao dai, Vietnamese traditional dress, to the event making this year the record for the number of attendees wearing the dress. 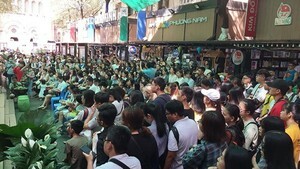 Performances, seminars and exhibitions were held during the event. More than 1,200 students participated in the ao dai painting contest. Ao Dai Festival 2015 will be more impressive and larger than this year, said Mr. La Quoc Khanh , Deputy Director of the Department of Culture, Sports and Tourism of Ho Chi Minh City. This event is considered as a meaningful activity celebrating the 40th anniversary of Reunification Day on April 30. The organizers will hold an international seminar to discuss and analyze ao dais. The seminar will be attended by organizations of education and United Nations Educational, Scientific and Cultural Organization.